Sony's next-generation console features a ray tracing GPU, Ryzen CPU, fast SSD storage, and more—but not in 2019. Sony just spilled the beans on the next-generation PlayStation in a Wired exclusive, giving us our first taste of the internals slated for the forthcoming console. We haven't been able to confirm anything yet, but based on the information in the article, it's a safe bet that some of the hardware doesn't even exist yet. That's OK, because the PlayStation 5 (Sony's not calling it that yet, but we will) "won’t be landing in stores anytime in 2019." Why is PC Gamer digging into this? New consoles influence priorities at big game developers, which affects the design and technical capabilities of the multi-platform games they produce. The console market has always been a factor in what we play on PC. (Though we don't think the PS5 will have a huge effect, in the end.) Plus, we're generally interested in what hardware companies are up to, and how their console products relate to the Intel, AMD, and Nvidia parts we'll be using when these next-gen systems come out. That settled, here's what we know about the PS5's hardware, and how it will stack up to future PCs. The big ticket items in any gaming system are the CPU and GPU. While it hasn't been stated yet, it's a safe bet that AMD will be providing an SoC (System on Chip) solution that contains both. The CPU this round will leave behind the slow and relatively archaic Jaguar cores of the PS4 (and Xbox One), moving to AMD's modern Ryzen architecture. And not only will it get Ryzen, but it will be a Ryzen CPU based on the upcoming third generation Zen 2 architecture, sporting a full 8-cores and 16-threads. More importantly, on the GPU side, the PS5 will get a variant of AMD's future Navi architecture, and I'll start my analysis there. The Radeon VII is AMD's current fastest graphics card, with a power draw of up to 300W. I've got a separate article covering everything we know about Navi, but the short summary is that I expect two iterations of the Navi architecture. The first will be a midrange-focused Navi 10 architecture that should be competitive with the GTX 1660 Ti/GTX 1070 Ti, and it will probably launch on July 7 (7/7 for 7nm is the guess). Sometime later, a higher performance Navi 20 architecture will arrive that will likely double the die size and performance, and also add ray tracing support. The PS5 will use a trimmed down "custom" version of Navi 20, based on the information in the Wired article. So Navi 20 will be AMD's entry into the ray tracing arena, with full DXR (DirectX Raytracing) and Vulkan-RT support. If all goes well, by using TSMC's 7nm process technology, Navi 20 will potentially match the performance of an RTX 2080 Ti. It could even be faster, but without actual specs it's all just guesswork. And the PS5 will most likely use a design with roughly half the performance of the full Navi 20 graphics cards. This is the PS4 Pro. Trying to stuff 300W into a chassis like this would make a lot of noise. That also means half the power use. Again, consoles aren't meant to draw 300W—the PS4 Pro and Xbox One X use about 140-160W during gaming sessions, and that's for the full system. Typically, a gaming console sits in an entertainment center, which often means less than ideal ventilation, and you don't want a bunch of fans squealing away at high RPMs to keep it cool. That's one reason why you'll never see a true top-end PC equivalent in a gaming console (price being the other). The PS5's ray tracing capabilities are the unknown factor. Take the RTX 2080 Ti as the high-end target for ray tracing performance right now. That's a $1,200 graphics card, and it can do "10 Gigarays per second" if we go with Nvidia's metric. The important thing is that Nvidia's Turing architecture provides for a single RT core per SM (streaming multiprocessor, the basic building block of current Nvidia GPUs), plus eight Tensor cores. The PS5 has no real need for Tensor cores that focus primarily on machine learning algorithms, though I suppose maybe it could implement an alternative to DLSS that would make 8K via upscaling reasonable. Regardless, since it's built on 7nm rather than 12nm, AMD could easily double down on RT core equivalents in each CU (Compute Unit, AMD's building block for GPUs), and perhaps ditch Tensor cores and even go with up to four RT core alternatives per CU. Atomic Heart with ray tracing, running on an Nvidia RTX GPU. One of the biggest complaints we've had with ray tracing in games so far is that the performance hit is often very large, often without a commensurate improvement in image quality. It's not unusual to see performance cut in half with ray tracing enabled, but a lot of that comes down to the amount of ray tracing hardware. If AMD is able to double or even quadruple the ray tracing performance compared to Nvidia's RTX line, it's not unthinkable to see ray tracing enabled games that still run at 60fps or more, even on the "modest" hardware we'll get in the next-gen consoles. There's also the standardized console hardware benefit, of course. Right now, a PC game that implements ray tracing needs to think about all potential ray tracing solutions: 1080p, 1440p, and 4k running on everything from RTX 2060 through the RTX 2080 Ti. It also needs to run on systems that lack ray tracing support. 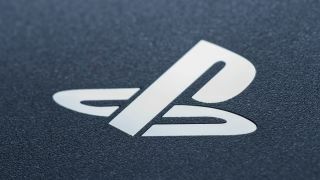 The PS5 will be a single configuration, and developers can know exactly how much ray tracing that hardware can handle. The side benefit for PC gamers is that with ray tracing coming to consoles, we should see a lot more games start using the technology on PC as well. There's still the AMD vs. Nvidia aspect, but since ray tracing on Windows uses the DXR API (or Vulkan-RT), that shouldn't matter as much. Both AMD and Nvidia should have ray tracing GPUs available by next year, and that will mean more games using ray tracing, perhaps with improved algorithms over time. The bottom line on PS5 graphics is that next-gen console announcements are always full of hype and exaggeration. The PS4 was supposed to match the performance of a high-end gaming PC when it launched, at a far more affordable price. The reality is that its graphics hardware was roughly equal to a $179 R9 270 … or if you prefer, a tweaked variant of the HD 7870 that came out in 2012 with a price of $350. I don't expect anything different from the PS5, which means performance will probably be similar to today's $350 graphics cards—an AMD equivalent of the RTX 2060, give or take. That's not bad by any means. It would be about five times faster than the original PS4, plus adding ray tracing support, but it's not going to provide a quantum leap in performance relative to a decent PC. The PlayStation 5 (or whatever it's called) will feature an 8-core 3rd Gen Ryzen CPU. Let's move on to the CPU side of the story. I said the GPU was probably the most important element, but in terms of generational performance improvements I expect even bigger things from the CPU update. How big of a jump will that be in terms of CPU performance? Simply put, massive. A single Jaguar core, operating at 2.13GHz (that's the PS4 Pro, where the original PS4 only clocked the CPU at 1.6GHz), is a relatively pathetic piece of silicon in today's world. The original PS4 can do two standard instructions per core per clock, if all goes well, including two 128-bit AVX instructions. The problem with Jaguar is that its buffers and out-of-order execution capabilities are limited, so even though it can theoretically do two operations per clock, it often falls short of that—branches and other code reduce its actual real-world performance. Ryzen in contrast supports up to six regular operations per clock, still with the same dual 128-bit AVX pipelines. More importantly, Ryzen has better out-of-order execution support, larger caches, substantially better branch prediction, and other features that mean it's more likely to make use of its full potential. Running Cinebench on a Jaguar CPU was brutally slow, not that we ever had 8-core Jaguar CPUs for PC. Let's put the CPU comparison into practical terms. In Cinebench 15, a benchmark that tends to represent integer execution capabilities for CPUs quite well, an Athlon 5150 (1.6GHz 4-core Jaguar CPU) scores 123 points—so we'll double that for the 8-core CPU in the PS4, or 246 points. For the PS4 Pro, which is clocked at 2.13GHz, it could score about 325 points. AMD's current second generation Ryzen 7 2700X by comparison scores 1,768 points. Even a relatively tame Ryzen 7 1700 scores 1,436 points. Third generation Ryzen should further improve performance, though we don't have all the details just yet—clockspeed and system memory bandwidth will also be important factors. That's potentially a 7X increase relative to the PS4, but Cinebench is also something of a best-case workload—games typically have instruction streams that will punish the Jaguar architecture even more, with more frequent branches that aren't as predictable as in Cinebench. Of course, games also tend to have code that doesn't scale as well to 8-core/16-thread CPUs, though with a standardized platform it's more likely to see games start to push beyond 4-core and 6-core designs. Bottom line for the CPU: It's not overstating things to say that the Ryzen CPU upgrade will be huge. If you've played games on a PS4 or Xbox One and noticed how many struggle to maintain 60fps, sometimes even 30fps, I think the CPU is often the limiting factor. With all the AI, physics, and other world-state calculations that need to occur, regardless of graphics quality, Jaguar cores are simply far behind the times. A Ryzen 3000 CPU could potentially be 5-10 times faster in real-world gaming performance. AMD's third-gen Ryzen CPUs will integrate the chipset onto the CPU package—and there's still room for another chip. One of the major benefits of going with AMD as the provider for both the CPU and GPU is that AMD has high performance solutions for both areas, and it has the capability of doing custom chips that put everything into a single package. We've seen this in the past with the PS4 and Xbox One, as well as on AMD's own APUs for Windows PCs. But I think with Ryzen we're likely to see AMD skip the SoC approach and opt instead for an "SoP"—System on Package. We're already seeing this with the preview shots of the third generation Ryzen CPUs, where the larger 14nm chipset is in the same package as the 7nm CPU. Modify the chipset to include graphics functionality, strip out any extras that aren't needed for the console, and switch it to a 7nm process, and it's not hard to imagine a dual-chip (or even three-chiplet) package that contains the CPU and GPU. Nothing has been revealed regarding memory (more on that below), but with a single-chip (package) solution the PS5 should be an evolution of the PS4 and PS4 Pro. Using eight GDDR6 chips running at 14-16Gbps, the PS5 could potentially double the memory bandwidth without much difficulty. I trust Sony's 8K claims about as far as I can throw this 8K TV. Image courtesy TechRadar. There's also talk of 8K resolution support from the PS5. I think it's safe to say that's just hyperbole at this point. Sure, the console will probably be able to output an 8K resolution, just like the PS3 can output 1080p and the PS4 Pro can do 4K, but we're years away from high-end graphics cards being able to do 8K at reasonable framerates, never mind a midrange GPU—even a 2080 Ti chokes at 8K. Besides, the number of 8K TVs and 8K TV owners is incredibly small right now. I could also make the argument (and others have done this in the past) that going beyond 4K, even on a 65-inch TV, really doesn't mean much when you're sitting on a couch 10-15 feet away from the screen. The human eye simply can't resolve such fine details. Maybe 8K on a VR display would matter, but we still have the problem of rendering such a resolution on "mainstream" hardware. But the PS5 will have HDMI 2.1 support, which will handle up to 8K HDR displays. In short, 8K via upscaling of 4K will probably be an option. But native 7680x4320 rendering, at anything approaching reasonable (30fps or more) framerates, in a modern game with complex graphics? I strongly doubt it. This is a modern 2TV M.2 NVMe SSD. We have no idea what will be in the PS5, other than it will apparently be fast. The PS5 doesn't stop with improvements to the CPU and GPU areas. Finally, console gamers will get to enjoy the benefits of the solid-state storage we love, without having to buy additional hardware or attempt a storage upgrade. And because the system will be built around SSD storage, game developers will take full advantage of the faster read and write speeds. Details are thin on the storage right now. Sony showed Wired a demo of Spider-Man running on a PS4 as well as an early PS5 development box, and as one example it showed a 15 second load speed on the PS4 compared to 0.8 seconds on the dev kit. Sony (or at least, Mark Cerny) does make the claim that the SSD inside the PS5 will have a "raw bandwidth higher than any SSD available for PCs." I assume that means something similar to an M.2 drive, perhaps with a PCIe 4.0 connection doubling the throughput. That opens the doors to a host of other questions, however. We've seen PS4 games as large as 100GB (Red Dead Redemption 2), and while SSD prices have come down a lot in the last year, I doubt we're going to see a 2TB SSD in the PS5—and even 1TB is asking a lot. Still 1TB could happen, but something else that could happen is an SSD caching system. Stuff a 64GB or even 128GB hyper-speed M.2 drive next to a 2TB HDD, and hardware caching algorithms could keep the important files on the SSD while streaming less critical stuff like video and audio off a hard drive. Or maybe Sony just kills the HDD and goes with a large SSD. It's not out of the question, considering you can routinely find 1TB-class SSDs for around $100 these days. By the time the PS5 arrives, presumably fall of 2020, prices should be even lower. Plus economies of scale come into play—Sony will sell tens of millions of PS5 units over the coming years, giving it massive buying power when it comes to picking up NAND for cheap. I'm still not sure how much of a boost to performance a fast SSD will be. It will certainly help load times, but the 20X increase in speed shown in Spider-Man seems a bit much. On PCs, even a modest SSD is usually within spitting distance of the fastest NVMe SSDs when it comes to game load times, and typically no more than twice as fast as a hard drive. Regardless, it's great that there won't be a very old and slow 2.5-inch hard drive slowing things down. This is a PS4 Slim, Sony hasn't revealed the PS5 yet. As far as the rest of the PS5 system, Sony didn't provide any additional details. How much memory will the PS5 have? I think 16GB is a safe bet, probably GDDR6 shared between the CPU and GPU. But it could use HBM2 if Sony wants to be aggressive on providing even more memory bandwidth while cutting down on real estate. Four 4GB stacks of HBM2 would use less space than eight 2GB GDDR6 chips, while doubling the memory bandwidth. Sony did talk about improved audio as well, specifically 3D audio. Going back to the ray tracing, that's something that can help with immersive audio calculations as well, and the hardware is already there. Toss in a bit of extra circuitry to flesh things out and our ears could be in for a treat. AMD has been pushing its TrueAudio functionality for several years now, though to date we haven't seen much use of it. Considering PS5 will likely have support for both ray tracing as well as TrueAudio Next, the potential to do a lot more with audio is certainly there. However, it remains to be seen how many game developers will actually make use of that potential, and whether that will mean anything for games that are ported to PC. One other important piece of news for the PS5 is that it will maintain backward compatibility with the PS4 / PS4 Pro. That's not too surprising, considering it will still use an AMD CPU and GPU, but it's welcome news regardless. And native 4K gaming at 60fps on PS4 games might actually be viable with the PS5. With ray tracing coming to consoles and more GPUs, games are more likely to start making better use of the technology, so they'll look like 3DMark's Port Royal rather than just slightly better reflections or shadows. There are a lot of other unknowns at this stage as well. Besides not having any concrete details on clockspeeds, GPU core counts, storage capacity, memory, bandwidth, and various other hardware aspects, Sony also isn't ready to talk about the price of the console. The PS4 launched at $399 in late 2013, while the PS3 launched in late 2006 at $499 with a 20GB drive, or $599 with a 60GB drive. The PS4 Pro kept the $399 price when it arrived in 2016, though with the PS4 Slim coming in at $299. My bet is the PS5 will likely end up closer to PS3 pricing at launch. It's packing a lot of new hardware, and there's always the potential for Sony to aim a bit higher than in the past. Maybe the PS5 will have a comparatively faster GPU than the PS4 did at launch. Maybe it will draw 250W instead of 150W. But again, the final hardware for the console likely doesn't even exist right now, and if Sony keeps with tradition and launches in 2020 during the fall, it's still 18 months away. How will that compare with a gaming PC in late 2020? By late next year, Nvidia could have 7nm second-generation Turing graphics cards available. In fact, I'd say that it will almost certainly have such hardware. AMD should have both Navi 10 and Navi 20 graphics cards out as well. AMD and Intel 8-core/16-thread CPUs will become increasingly common, and we'll see 12-core and 16-core parts pushing down into mainstream pricing. All of those will cost a pretty penny, and even if the PS5 launches at $599, I don't think you'd be able to beat its performance with a PC without spending $1,000 or more. Of course, a PC can do a lot more than playing games, and a $750 budget gaming build might not fall that far behind the next-gen consoles. The biggest news for PC gamers is simply that the next generation consoles are coming, and Sony at least will be wearing ray traced clothes. You don't need to jump on the Nvidia RTX bandwagon just yet, but once ray tracing arrives on consoles, we expect it to become far more common on PC as well.